Through the month of August 2018, all our Centre’s children keenly monitored the floods and rescue operations in the state of Kerala. The Centre Managers explained the causes of flooding and encouraged our children to come up with ways to help the flood victims. A collection of funds ensued at all our Centre’s. 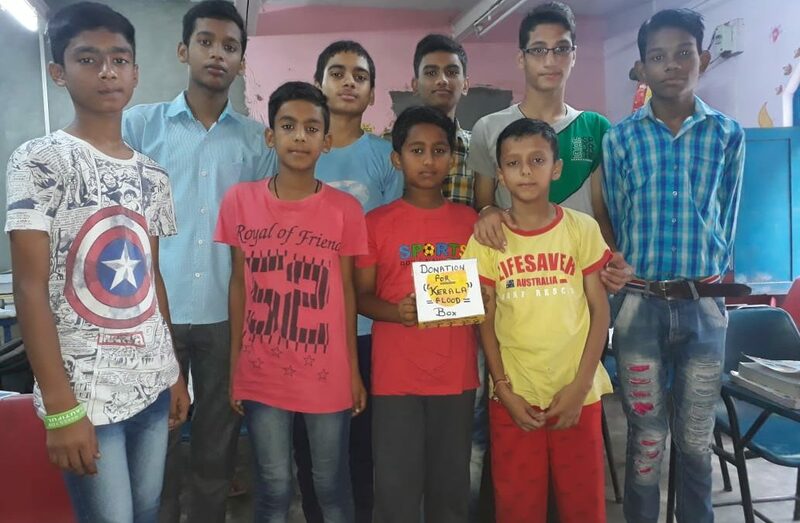 Our Yamuna Centre that had its own experience of living with floods (as the children’s homes are close to the banks of Yamuna river) were the first to raise INR 2500. All contributions will be donated to the relief operations headed by Goonj.